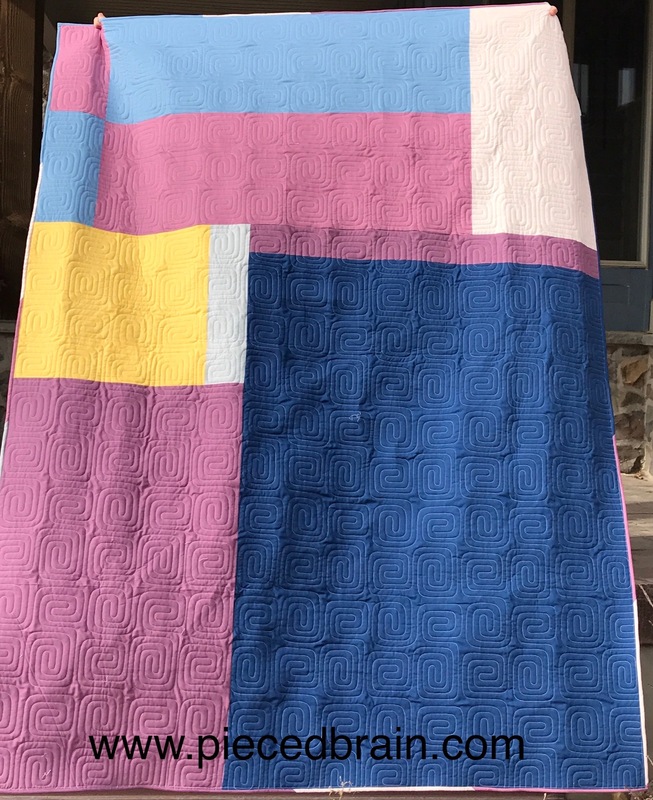 Here is my finished Bella Skill Builder quilt, the cool result of the Sew Along hosted by Fat Quarter Shop. Melissa from Sew Shabby Quilting did a fantastic job choosing the perfect quilting motif for this project. The fabrics are Bella Solids from Moda Fabrics and the colors were chosen online so I was not sure how they would turn out together. Bright and cheerful! I pieced the backing and the binding using the same fabrics from the quilt top, so I have hardly any leftovers. 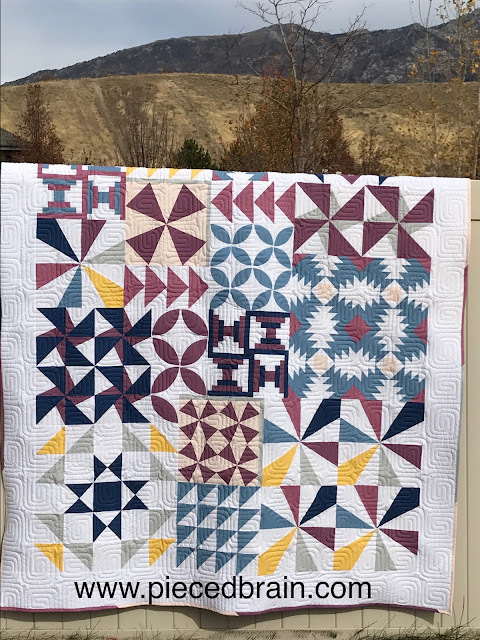 You can download the patterns for each block/month by clicking here and going to Fat Quarter Shop's blog. The past few months flew by and it was so easy making a few blocks every month. 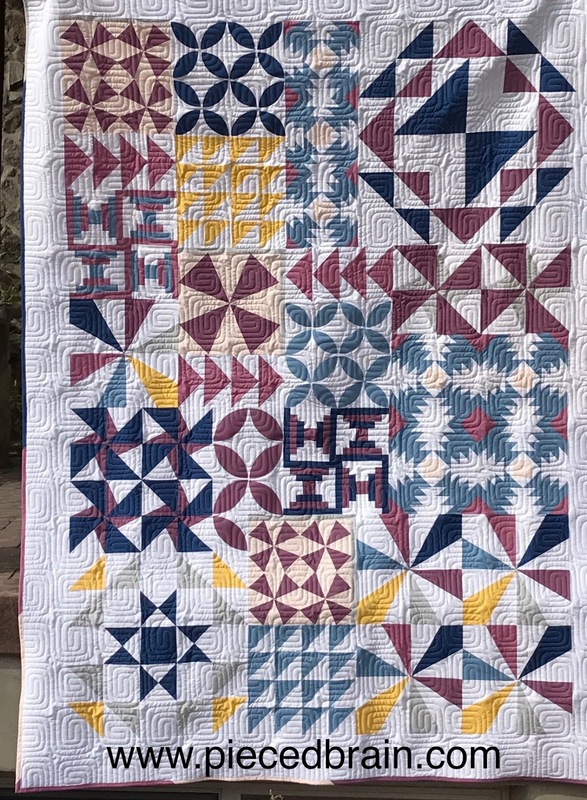 The quilt was put together by sewing the blocks into three rows first, then stitching the rows together, and finally adding the border. Another idea would be to include sashing in between the rows to add some negative space. Head over to the Jolly Jabber to check out how the participating bloggers finished their quilt. And this is a wrap for today - two blog posts in one day. Phew! I really love your quilting! Both the top and back are stunning! This is beautiful and looks amazing in those fabrics! This is so pretty! I absolutely love the quilting on it. The back looks fantastic too! Nice work!! 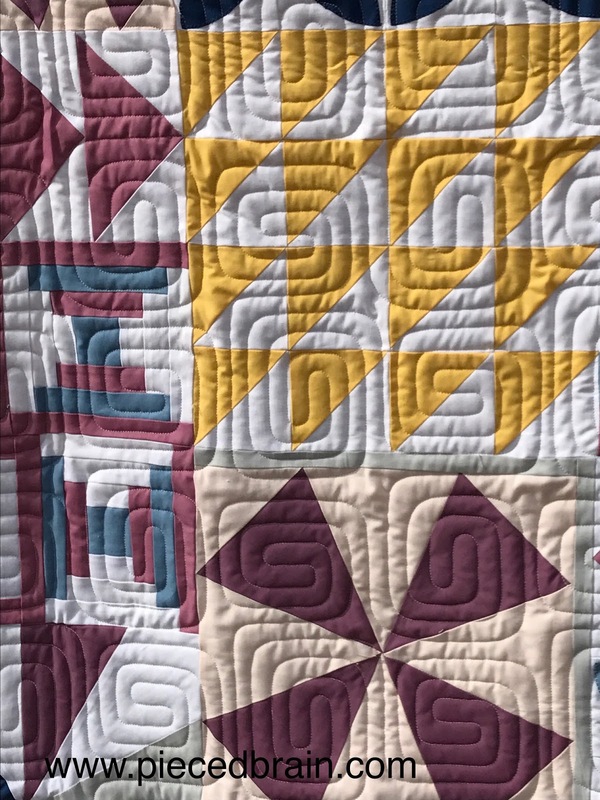 I love how you sprinkled some sunshine yellow throughout your quilt. It's fun to add an unexpected spark to our quilts!